MELVILLE, N.Y., Jan. 7, 2019 — (PRNewswire) — It's easy to love going to the office when your office is wherever you want it to be. Road warrior, traveling sales person, start-up founders – whatever the title, work doesn't have to take place within the confines of a traditional office. Using lightweight, portable and versatile office equipment – work can happen anywhere. 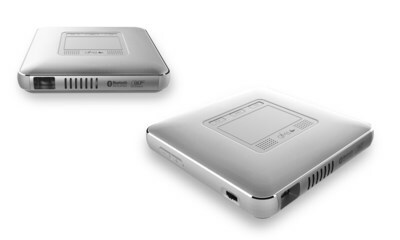 That's why Canon U.S.A., Inc., a leader in digital imaging solutions, today announced a portable mini projector, the new Canon Rayo S11, allowing business professionals and consumers to mirror their smartphones, project photos, videos and documents, and play audio files wherever the job takes them. With the ability to run for up to two hours completely wirelessly and share presentations from a USB drive or internal storage, the art of business pitches and presentations can now be refashioned thanks to the Rayo S1 and its variety of features. Users can showcase PDFs, word-processing documents and slide presentations, as well as host conference calls where office space is limited. The Rayo S1 projects up to 84 inches, giving users the ability to take their presentations on the road. In addition, the transition from office life to home life is seamless. The Rayo S1 can easily integrate into family activities making it the quintessential tool for projecting movies at sleepovers and playdates or sharing photographs during family gatherings. The pre-installed Canon Camera Connect app allows for connection to compatible Canon cameras. "The average person's workday isn't the traditional nine-to-five within an office - it's early mornings, late nights and being on-the-go. In order to align with the consumer's needs, it is necessary to provide business equipment that matches the work lifestyle of today," said Kazuto Ogawa, president and chief operating officer, Canon U.S.A., Inc. "With its sleek design and compact size, the Rayo S1 effortlessly fits into a consumer's work life as well as their home life." The new Canon Rayo S1 is scheduled to be available for purchase in May 2019 at an estimated retail price of $259.99*. For more information and the full list of product specifications, visit http://shop.usa.canon.com/. Canon U.S.A., Inc. is a leading provider of consumer, business-to-business, and industrial digital imaging solutions to the United States and to Latin America and the Caribbean markets. With approximately $36 billion in global revenue, its parent company, Canon Inc. (NYSE: CAJ), ranks third overall in U.S. patents granted in 2017�nbsp; and is one of Fortune Magazine's World's Most Admired Companies in 2018. Canon U.S.A. is committed to the highest level of customer satisfaction and loyalty, providing 100 percent U.S.-based service and support for all of the products it distributes in the United States. Canon U.S.A. is dedicated to its Kyosei philosophy of social and environmental responsibility. In 2014, the Canon Americas Headquarters secured LEED® Gold certification, a recognition for the design, construction, operations and maintenance of high-performance green buildings. To keep apprised of the latest news from Canon U.S.A., sign up for the Company's RSS news feed by visiting www.usa.canon.com/rss and follow us on Twitter @CanonUSA. For media inquiries, please contact pr@cusa.canon.com. �nbsp; Based on weekly patent counts issued by United States Patent and Trademark Office. 1This device has not been authorized as required by the rules of the Federal Communications Commission. This device is not, and may not be, offered for sale or lease, or sold or leased, until authorization is obtained. * Prices are subject to change without notice. Actual prices are set by individual dealers and may vary. Company Name: Canon U.S.A., Inc.
Financial data for Canon U.S.A., Inc.